Mr. Goldberger has over 35 years of experience within the biotech, medical technology, and high tech industries. His areas of expertise include mergers and acquisitions, capital formation, intellectual property, product development, supply chain, business analytics, and turnarounds. Since January 2018, Mr. Goldberger is the Chief Executive Officer of Synergy Disc Replacement Inc., a private company commercializing a proprietary total disc implant for cervical spine therapy. Mr. Goldberger served as Chief Executive Officer of Milestone Medical, Inc. until October 2017. Prior to this, he served as the Chief Executive Officer of Xtant Medical Holdings, Inc. from August 2013 to January 2017. He also served as the Chief Executive Officer of Sound Surgical Technologies LLC from April 2007 to February 2013. Mr. Goldberger served on the boards of Xtant Medical Holdings, Inc., Sound Surgical, Xcorporeal and Glucon. He currently serves as an advisor to investment funds with Meridian Capital and Wellfleet Capital. Mr. Goldberger earned his B.S. in Mechanical Engineering from M.I.T, his M.S. in Mechanical Engineering from Stanford University and attended the Stanford Directors College. Mr. Pettigrew has more than 23 years of sales and business development experience in the medical device industry, including the home infusion space. 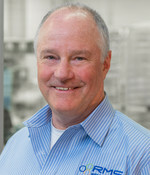 Prior to joining RMS as President and Chief Commercial Officer in 2018, Mr. Pettigrew held senior leadership positions at market leading medical firms such as Moog, Inc. as Group Director, Global Business Development and Group Director, Global Sales and Professional Services from 2011 through 2018, where he led commercialization and business development for the IV infusion and enteral feeding franchises in both the U.S. and international markets. Mr. Pettigrew also held management positions at Baxter (formerly Gambro) from 2008-2011, Boston Scientific from 1995-2008, and E&J Gallo from 1990-1995. Mr. Pettigrew earned his B.A. in Biology from the University of Colorado. 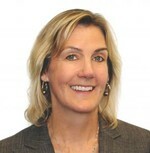 Karen Fisher has more than 25 years of financial experience in a variety of industries, most recently serving as the Assistant Controller for a global consumer products company. She has also held roles such as Chief Accounting Officer and Treasurer, and Controller. Ms. Fisher held multiple financial management roles covering financial analysis and reporting, budgeting, forecasting, acquisitions, and cash management. She is thoroughly knowledgeable in compliance with SEC regulation, GAAP, 10Q’s, 10K’s and Sarbanes-Oxley. Ms. Fisher is a Certified Public Accountant and a graduate of Arizona State University with a BS in Accounting. 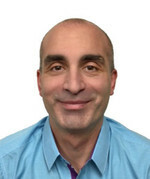 Manny Marques has an engineering background in FDA Class II & III medical devices. He has a proven history of effectively transferring new products from R&D into manufacturing, while also reducing operating and manufacturing costs of existing products. Mr. Marques is a champion at enhancing operational management via implementation of Lean 6-Sigma Manufacturing techniques. Mr. Marques holds two U.S. patents for cardiovascular medical devices. Manny obtained a BS in Mechanical Engineering Technology and also an MS in Engineering Management from the New Jersey Institute of Technology. 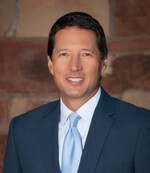 Brian Schiller, PhD, is a senior leader with diverse medical affairs and clinical research experience spanning global strategic development, product launch, legal, regulatory and compliance alignment, recruitment and leadership of field medical teams, professional medical education, publication planning and medical communication strategy, company- and investigator-sponsored clinical research, medical marketing and health outcomes research. He has demonstrated success across a wide array of specialty areas including internal medicine, cardiology, endocrinology, immunology, neurology/neuropsychiatry, dermatology, orthopedics, general and gynecologic surgery. Prior to joining RMS Medical, Dr. Schiller was Senior Director and Head of Field Medical, North America Medical Affairs at Sanofi (Genzyme) since 2009. From 2005-2008 Dr. Schiller worked at Avanir Pharmaceuticals; initially as an Associate Director of Medical Affairs, and later as Associate Director of Clinical Research and Medical Affairs. Dr. Schiller also held leadership roles at Amgen from 2002-2005 and at Bristol Myers Squibb from 1999-2002. Have a Success Story to Tell? © 2019 Repro Med Systems, Inc.